Since their 2006 breakout album Yellow House, Grizzly Bear have been a gift to us all. Deciding whether their lyrics or melodies are more complex is like choosing a favorite child: you just can’t. It’s been half a decade since Grizzly Bear’s Ed Droste, Daniel Rossen, Chris Taylor and Christopher Bear released their last album, Shields, and in the meantime the Brooklyn expats have found themselves scattered around the Los Angeles area (with Rossen in upstate New York). In that five-year period, a lot has changed, especially with regard to America’s political climate. Unlike other musicians who refuse to comment on the current state of the nation, Droste refuses to be apolitical. Grizzly Bear’s insistence on addressing what other band’s might not say is necessary in 2017. Read our exclusive interview with Grizzly Bear here. It may not be explicitly stated in the lyrics on the quartet’s latest record Painted Ruins, but politics deeply affected the project. Throughout 11 melancholy tracks, one can feel the end of the world looming. While some of the songs focus on basic tasks or chores (like Rossen living his life upstate), they seem to exist as a way to contend with the disarray of society, almost like meditations. But as calm, serene and sad as the songs of Painted Ruins may be, it’s all a bit alarming. In fact, the album seems to normalize apocalyptic conditions and creates an adaptability around it. While the album tackles the political, it does the same with the personal. Painted Ruins’’ first single, “Three Rings” contemplates whether a broken relationship can be salvaged through lovelorn, dreamy synths; “Losing All Sense” is mired in the intimidation of having a crush. 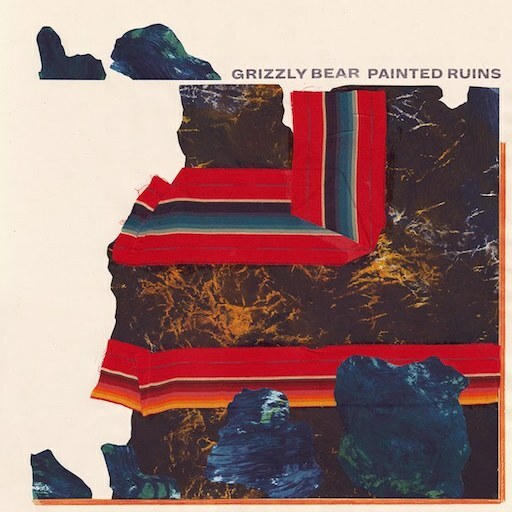 Painted Ruins is very much a Grizzly Bear record, with the band capitalizing on the glorious, experimental melodies that have become their hallmark. But the project is much more avant garde than their previous records, with their greater abundance of catchy hooks and hits. They find comfort in psychedelia, ‘70s folk and the simple things in life. Five albums into their career, Grizzly Bear show that they still know how to nail the dichotomy of beauty and tragedy. For more on Grizzly Bear, don’t miss our cover story from Paste Quarterly #2.